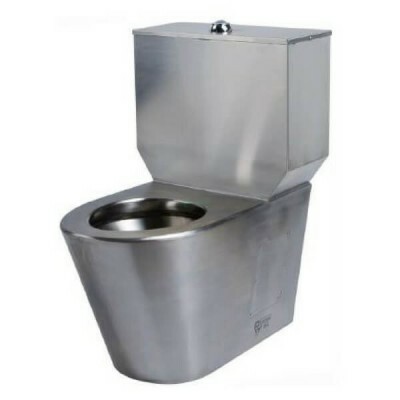 Shop our fantastic range of stainless steel toilets now and save. 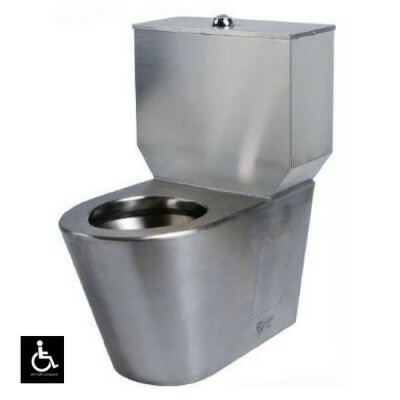 We have toilets, cisterns, and pans designed commercial and public use. When you shop online with Plumbing Sales, you’ll get free shipping on orders over $200. Browse through our extensive range of products now. 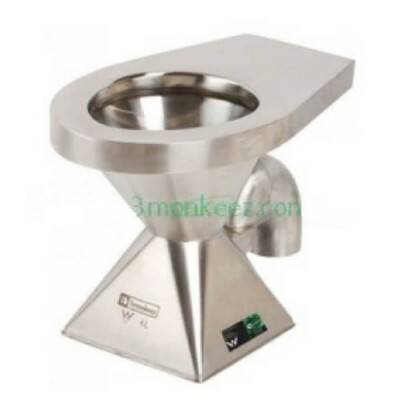 If you’re looking for commercial stainless steel toilets, you’ve come to the right place. We have a bunch of great options for commercial installations. Are you looking for something durable, easy to clean, vandal resistant and Hygienic? 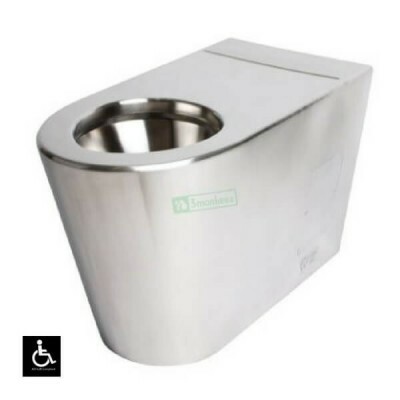 Take a look at our stainless toilets now and find your options. We have something suitable for every space. 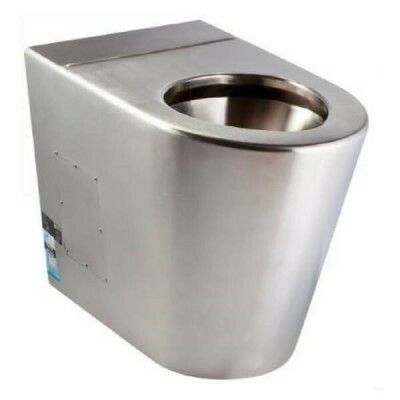 You can find our stainless steel toilets in night clubs, schools, caravan parks, rest areas, parks, sporting arenas, and other commercial spaces where a low maintenance option is needed. Stainless toilets are strong and can stand the test of time - after being used thousands of times; they show little wear and tear. 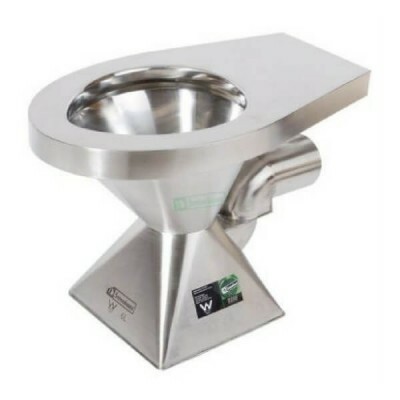 Stainless steel toilet pans are easy to clean - you can even use a high-pressure hose to wash a toilet in a jiffy. Where toilets are in frequent use by the public- it is important to have a hygienic option. The smooth nature of stainless steel means that micro-organisms find it difficult to attach and thrive on the surface of your toilet. 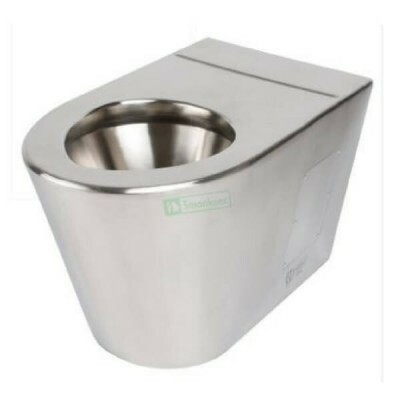 Buy stainless toilets online today with Plumbing Sales and get free shipping on orders over $200 to most areas in Australia. In order to make sure you are completely satisfied with your purchase, we perform strict quality checks on all orders before we send them out. If you have a question about shipping, make sure you check out our shipping and FAQs pages. At Plumbing Sales, we are proud to be Australia’s largest online plumbing supplies store. Our extensive knowledge of the plumbing industry means that you’ll have access to a wide range of industry grade products for competitive online prices. If you have any questions about our range, please don’t hesitate to get in touch. Simply submit your enquiry via the contact page and one of our experts will respond as soon as possible.